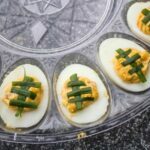 Spicy, creamy Chipotle Bacon Jalapeno Deviled Eggs are a fantastic appetizer for any get together, or make them up to look like little footballs and they are are a great choice for gameday! My favorite part of celebrating the Big Game, any Game Time really is and always will be the food! Sure, it’d be great if my team won, but I am way more interested in all the yummy eats and treats! LA MORENA® lets me take an ordinary party food, and kick it up a notch and make it something even better than it could have been. Plus! They are even having a giveaway! Are you ready to win?! 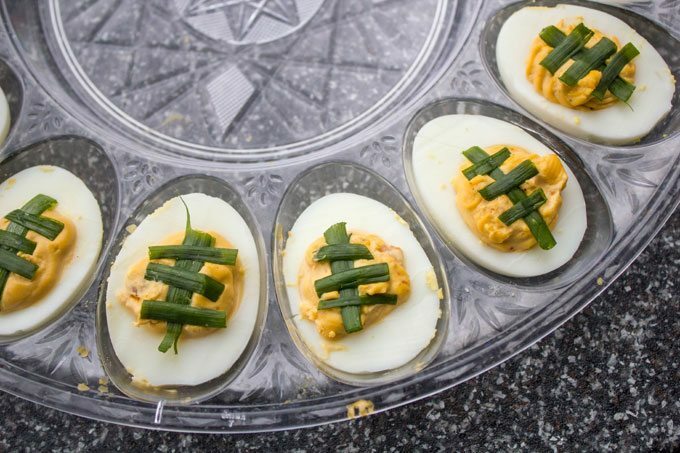 These deviled eggs are an absolute favorite around here. Spicy, creamy and gone fast! In fact, make sure you make a lot, because once I set the tray down, I didn’t even get to take a photo before hands were reaching in to grab one. 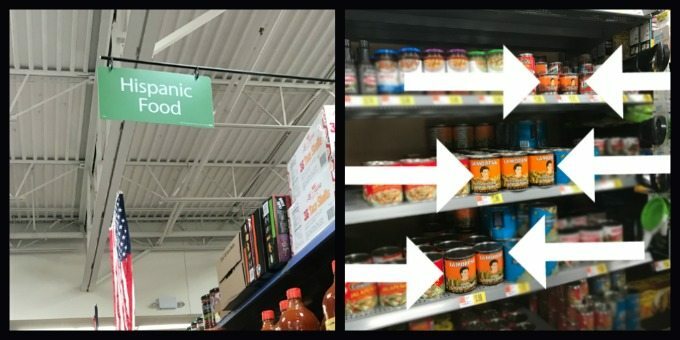 I love the many LA MORENA® products that I can find at our local Walmart. They are with the Hispanic Food, and there are so many great things to use. 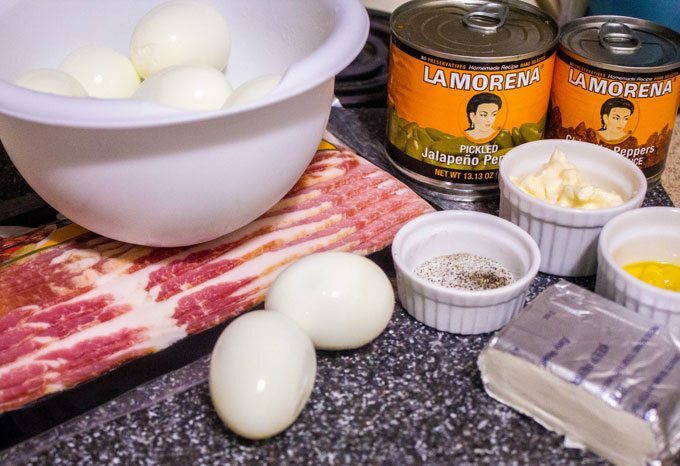 With these Chipotle Bacon Jalapeno Deviled Eggs, you will need to grab a LA MORENA® Chipotle Peppers in Adobo – 7 oz can and one LA MORENA® Whole Jalapenos – 7 oz can (I bought a 13oz can so I could use them with another recipe I am making). Chipotle Bacon Jalapeno Deviled Eggs doesn’t call for a lot. In fact, I use a traditional recipe for the deviled egg base and then make a spicy bacon cream cheese that I blend with it. So delish! Are you ready to have a little spicy fun? Kick it up a notch? 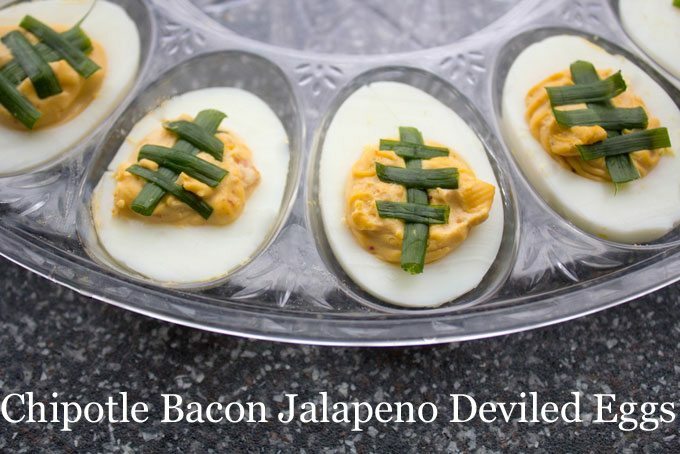 Let’s make some Chipotle Bacon Jalapeno Deviled Eggs, cause it’s GAME TIME! 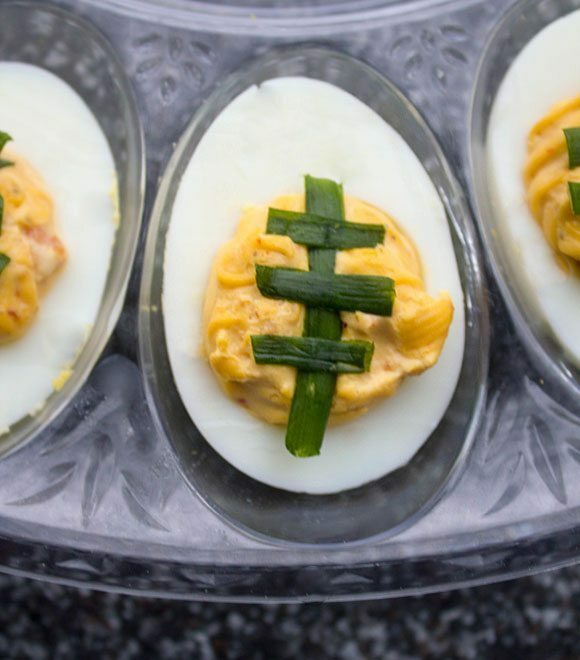 Chipotle Bacon Jalapeno Deviled Eggs for the Big Game! Peel your eggs and slice them. Separate the whites and the yolks. In a bowl, mix together the yellow cooked egg yolks from all the eggs, the mayo, mustard, garlic powder and salt & pepper until creamy. In a blender, process the jalpeno's, chipotle pepper, cream cheese, adobo sauce and bacon until smooth. Mix together with yolk mixture. Pipe or spoon into egg white halves. Slice green onions to top, or cut them to form footballs for the Big Game!